Huddersfield Town missed the opportunity to get their first Premier League win since November, as they drew 0-0 away to fellow strugglers Cardiff City despite controlling much of the game. David Wagner's men at least managed to end a run of eight successive top-flight defeats, but they will surely be frustrated at not being able to claim a rare win after looking significantly better than their hosts. Although Huddersfield appeared more switched on in attack during the first half, things were evenly contested before the interval – both sides having fortunate escapes. 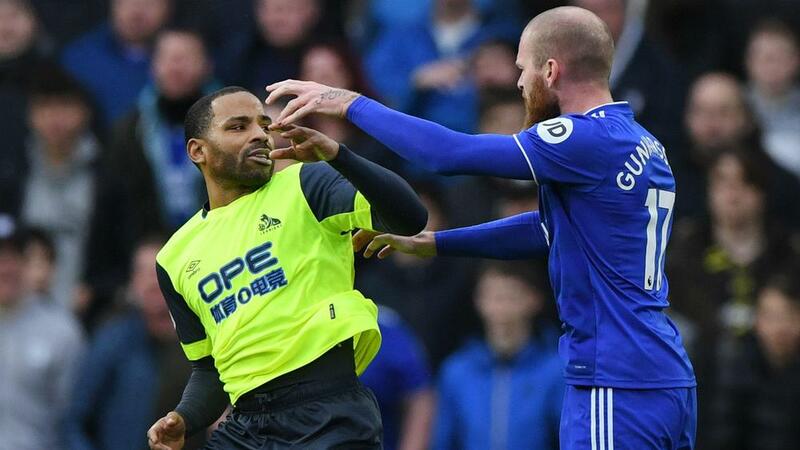 It was after half-time that Huddersfield looked particularly in control, seeing far more of the ball and even having a penalty awarded before being overturned by referee Lee Mason, but Cardiff held firm to leave Town eight points adrift of safety. Huddersfield were the more threatening for much of the first half, with Jason Puncheon shooting just wide of the bottom-right corner from 25 yards eight minutes into his league debut for the club. The visitors were somewhat fortunate to not concede a penalty soon after, with Florent Hadergjonaj appearing to catch Junior Hoilett as he tried to reach Nathaniel Mendez-Laing's low cross. Cardiff finished the half well and should have taken the lead, but Sean Morrison inexplicably saw Hoilett's corner go straight through his legs when all he needed to do was tap home. Huddersfield were on the front foot for most of the second period, but clear-cut chances eluded them their only two efforts on target were saved by relatively comfortably by Neil Etheridge. The visitors thought they had the perfect chance to take the lead 13 minutes from the end when Joe Bennett sent Hadergjonaj down on the edge of the box, but referee Mason changed his mind about giving a penalty after consulting with his assistant and the spoils were shared. There were just two shots on target in the entire match, which tells you all you need to know about the firepower these sides possess. If neither manage to bolster their attacking options in the January transfer window, you have to fear for their survival, particularly rock-bottom Huddersfield. In a game generally devoid of craft, Huddersfield's Alex Pritchard at least offered some creativity for the visitors, often using the ball well in the final third, as shown by his three key passes. Cardiff's Spanish midfielder was particularly disappointing. Up against a fairly modest Huddersfield, Victor Camarasa had little impact before going off injured in the 64th minute. Cardiff go up against another potential relegation candidate when they travel to Newcastle United next Saturday. Things will likely be a little more difficult for Huddersfield, however, as they host Manchester City the next day.